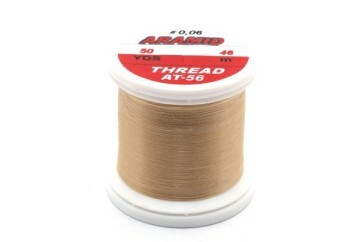 Interesting thread, it is composed of Kevlar but is not stiff like kevlar threads I have tried before, it is made up of a large number of very fine strands and has a very soft feel when tying with it. The threads spread out when wrapping around material making it less prone to slicing through deer hair for example. 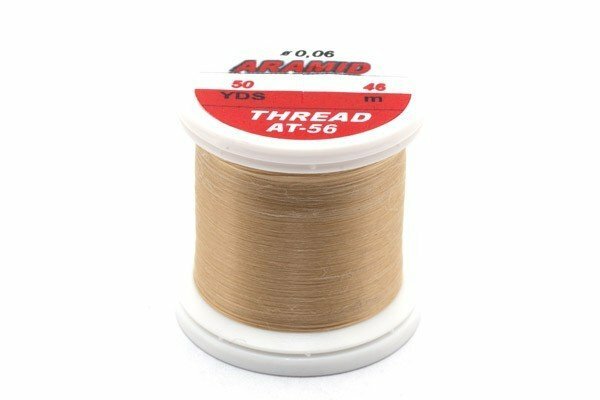 Good for deer hair, medium to large trout flies or pike flies.